We have spoken frankly to you Corinthians; our heart is wide open to you. Paul talks a lot about the heart. In 2 Corinthians, Paul uses the word “heart” fourteen times in just 13 chapters. “Heart” appears in each of the first eight chapters. In the midst of a conflict, Paul models vulnerable, honest conversation, with a heart that is “wide open.” Paul has learned how to have an open heart for reconciliation, a trait we could all use today, as individuals, churches and nations. 2 Corinthians is one of many letters that Paul wrote to the church in Corinth, a city in Greece. 2. 1 Corinthians: Then we have 1 Corinthians. refers to an earlier “letter of tears.” 1 Corinthians clearly does not match that description; so this “letter of tears” may have been written between 1 Corinthians and 2 Corinthians. 4. 2 Corinthians. Refers to the Severe Letter and mends fences. Reading a letter is like listening to one side of a phone conversation. You have to guess what the other person is saying. It can be a bit of a puzzle. But there are also many things that can be learned, especially regarding way the apostle Paul lived out his theology in the real world of relationships. The Narrative Lectionary focuses on 2 Corinthians during the first six weeks of this summer. What follows are some reflections on these texts and on Paul’s letter in general, which is quite possibly an amalgamation of several letters. Use them as you wish, no attribution necessary. 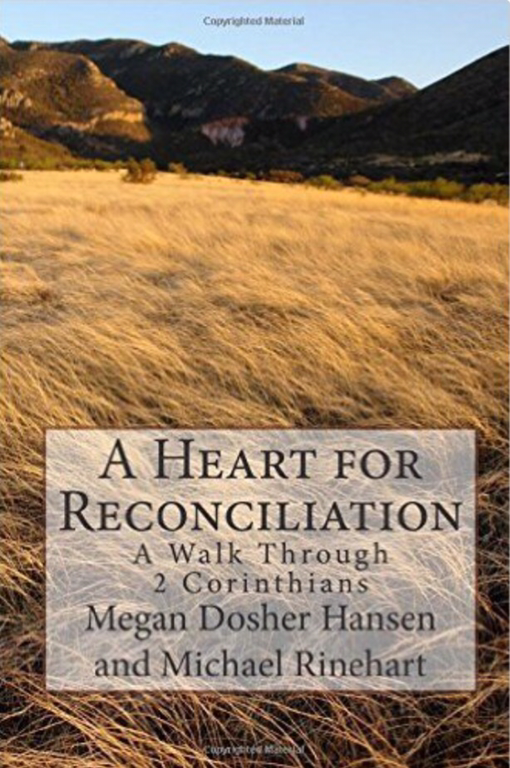 If you’d like a resource Megan Hansen and I wrote a book on 2 Corinthians called A Heart for Reconciliation. Available on Amazon, it offerers daily readings through 2 Corinthians. Encourage people to begin by reading all of 2 Corinthians in one sitting. This is the best way to get a feel for the scope of the whole letter. Then read roughly a half of a chapter of 2 Corinthians each day. Each chapter of the book A Heart for Reconciliation has a subheading with a recommended reading for each day. 2 Corinthians has 13 chapters, so this will take about a month. In the back are some discussion questions for group gatherings. These discussions revolve around five passages from 2 Corinthians, Not all the same passages that you’ll be reading on Sunday, but some overlap. Here are some background materials on the study texts in the book https://bishopmike.com/2-corinthians. For reflections on the six weeks of Sunday texts in the Narrative Lectionary, click the links below.